2014 was the hottest year on record since recordkeeping began in 1880, making the changing climate an urgent concern. As temperatures rise, the subtle warming has set off changes in every part of the globe. Symptoms of our warming Earth include melting glaciers, rising seas, thawing permafrost, increased storm intensities, shifting plant and animal ranges, more intense heat waves and intensified desertification. Around the world, researchers are discovering shifts in Earth’s ecosystems.The Arctic and northern regions, especially, have come under intense study as Arctic temperatures warm at twice the rate of the rest of planet. To find out exactly how a changing climate affects us, University of Virginia professors have undertaken studies that span the globe—from Virginia to the Arctic and beyond. They collaborate with researchers and scientists around the world on climate issues, forecasting models and potential solutions. And they’re asking big questions. 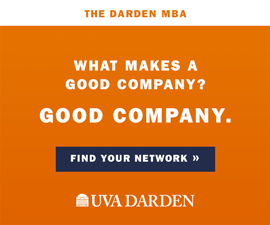 UVA Magazine followed up with a few of the professors to find out what’s changing near and far. Travel 2,000 miles north from UVA, and you’ll reach the Arctic tundra—a sensitive ecosystem that scientists around the world are watching closely. “A lot of people think the Arctic tundra is a barren, icy landscape with nothing living there—but that’s not true,” says Howard Epstein, a professor in the Department of Environmental Sciences who studies the interactions among vegetation, climate and soil in the Arctic tundra. Instead, Epstein describes a robust ecosystem filled with vegetation, particularly in the southern tundra. You won’t find trees—due to the short growing season—but you will find almost every other type of plant, including woody shrubs growing several meters tall. From south to north, vegetation grades from tall tundra to short, ground-hugging tundra made up of lichens, mosses, short herbs, grasses and shrubs that grow horizontally rather than vertically because of the warmer surface, Epstein explains. Tundra study is challenging, he says, because Arctic regions are so remote that scientists often can’t feasibly return to the same site year to year. So, Epstein relies in part on satellite imagery. He uses one of the best satellite records available—also used to monitor sea ice—which goes back to the early 1980s. While sea ice has dramatically decreased, Arctic vegetation has dramatically increased. “We’re seeing existing plants grow bigger, and plants moving into areas where they didn’t exist before,” Epstein says. 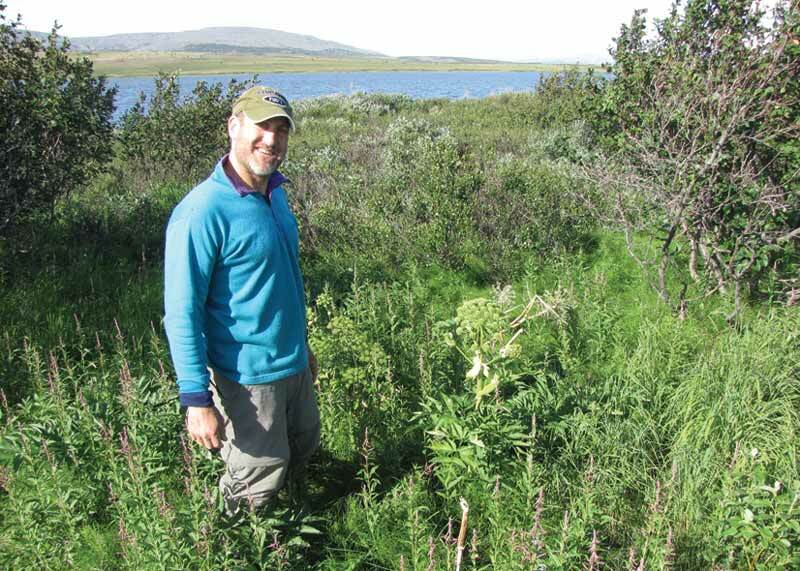 Taller shrubs—such as alder, willows and birch—are expanding across different landscapes; in the past 50 years, scientists have observed up to a 30 percent increase in the extent of tall shrubs in areas of the southern Arctic. “Vegetation is like the skin on the [land’s] surface that controls the exchange of materials and energy between the atmosphere and the ground,” Epstein explains. In summer, plants shade the ground and keep temperatures cooler, but in winter, plants insulate the ground as well as trap windblown snow that promotes heat insulation. In addition, the white snowpack reflects the sun’s radiation, but as vegetation grows taller, it rises above the Arctic snow and changes the surface from a reflective surface to one that absorbs sunlight and heat. Heat thaws permafrost, which potentially holds double the amount of carbon currently in our atmosphere. In the most extreme of climate change scenarios, thawing permafrost up to 3 meters deep could triple the amount of carbon in our atmosphere. Ringing the top of our world are coniferous boreal forests, covering immense swaths of Russia, Scandinavia, Canada and Alaska. The worldwide boreal forest makes up 29 percent of Earth’s total forests—making it a highly influential ecosystem. “It stores an incredible amount of carbon,” says Hank Shugart, professor of environmental sciences and director of the Center for Regional Environmental Study at UVA. To figure out how changes in boreal forests affect our climate, Shugart’s team has developed a detailed computer model. They’ve focused on boreal forests for two reasons: First, nearly all computer models show the north warming more than elsewhere. Second, large amounts of carbon stored in northern forests and permafrost would trigger even more warming if released. About half of Russia’s boreal forest is dominated by a deciduous needleleaf tree called larch, but as temperatures slowly warm, dark conifers replace larch trees. “Changing one [tree] species to another can have a substantial effect on warming the climate itself,” Shugart says. Dark conifer trees trap more heat than larch trees, so as forests change, that’s enough to add significant warming to the forests of eastern Russia. “If you warm Earth three degrees, you’d probably get another degree of warming [worldwide] from that change in Russia,” Shugart says. In the Bering Sea, seals and walruses depend on sea ice for breeding and raising their young, but a warming climate is changing their habitat. Ice now forms in late November to December, three to four weeks later than in the mid-1990s—and disappears by May, a month earlier. A shorter ice season endangers seal pups and walrus calves that haven’t yet developed adequate blubber for swimming in chilly waters. “Seals and walruses breed on the ice, have their pups or calves anywhere from April to May, and if the ice disappears, the pups or calves would not have access to ice for rest,” explains Carleton Ray, a research professor in UVA’s Department of Environmental Sciences who studies Bering Sea ice-inhabiting marine mammals. Ray studies sea ice though NOAA-supplied satellite imagery, which reveals ice structures—habitat for seals and walruses—that researchers use to track changes. Ray also studies the Bering Sea seascape, made up of various types of ice that support different marine mammals. For instance, seals use loose pack—thinner, broken-up ice that polar bears rarely visit. 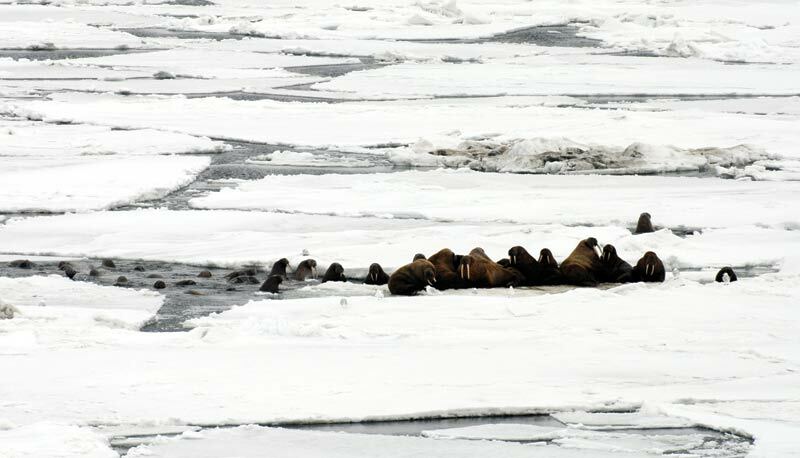 Walruses prefer broken pack—large angular swaths of ice thick enough to support herds of ton-and-a-half walruses. “If you get a hundred walruses on an ice floe, that’s a lot of weight, so the ice has to be thick,” says Ray, who estimates that at least a quarter of ice cover and a third of the total winter ice mass in the Bering Sea has been lost since the turn of the century. Ray likens melting sea ice to habitat fragmentation on land. “The animals not only lose their habitat but they can lose a lot of the ways they feed and breed and gather in large herds,” says Ray. Walruses form herds of up to 10,000 individuals; without sufficient sea ice, they cannot gather into herds, a setback that impedes social networking, reproduction and food-finding, Ray explains. As climate change begins to disrupt lives in big ways, coastal communities will become the most vulnerable populations. Satellite measurements tell us that over the past century, the worldwide sea level has risen nearly 7 inches and continues to climb; the rate of rise has nearly doubled over the last 20 years. Even a small rise in sea level can cause flooding effects in low-lying lands and ecosystems. Natural protections have helped mitigate some sea level rise effects. 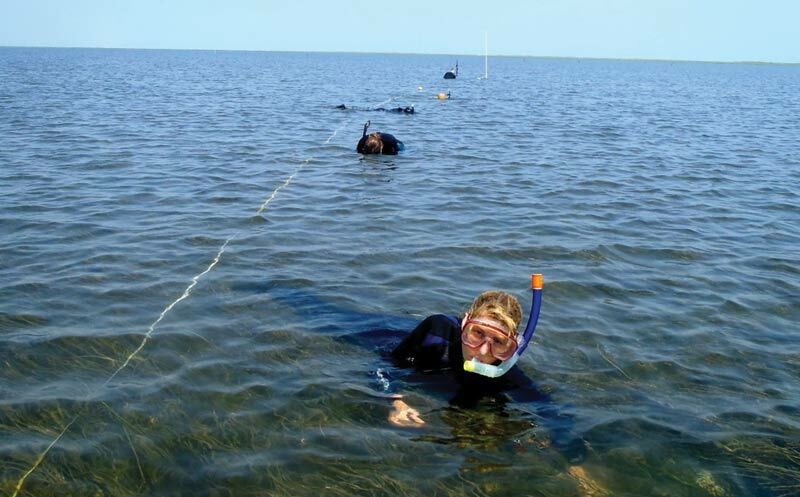 Marshes, barrier islands and oyster reefs are the first line of defense against storms and protect human communities, explains Karen McGlathery, professor in the Department of Environmental Sciences at UVA who studies ways for coastal communities to deal with rising sea levels. She leads an ecological research effort called the Virginia Coastal Reserve Long Term Ecological Research site—funded continuously by the National Science Foundation for nearly 30 years—that examines climate change effects on coastal systems in Virginia. “We know that, for millennia, marshes have kept pace with rising and falling sea levels as glaciers formed and melted,” she says. But now, scientists are concerned that human activities—such as dam building and shoreline hardening—have hindered marshes from keeping pace. So, marshes that once protected the land may reach a tipping point, meaning they can’t keep up with the rising seas. In another project, McGlathery and her team study marsh vulnerability along the Atlantic seaboard, looking at how management decisions affect coastal wetlands, which naturally buffer against sea level rise. For instance, marshes depend on new sediment flowing in to keep up with rising waters. A river dam may keep sediment from entering the marsh, which would drown under incrementally higher water levels. But with all of our shoreline tinkering, there’s some good news. “One thing that we’ve learned is that in Virginia, on the Eastern Shore, many of the marshes are doing very well—they have the capacity to keep up with the current rising seas,” she says. While there’s no crystal ball to predict exactly what will happen as our climate warms, Deborah Lawrence, professor of environmental sciences at UVA, has another way to see into Earth’s future. Her team uses a large-scale computer model to understand how Earth’s surface affects its climate. 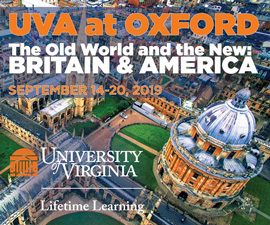 Both Lawrence and Hank Shugart won Global Programs of Distinction grants from UVA provost John Simon. They are leading teams of Russian, Chinese and Canadian scientists to map and study the way humans use the land and how that affects the rate of climate change. 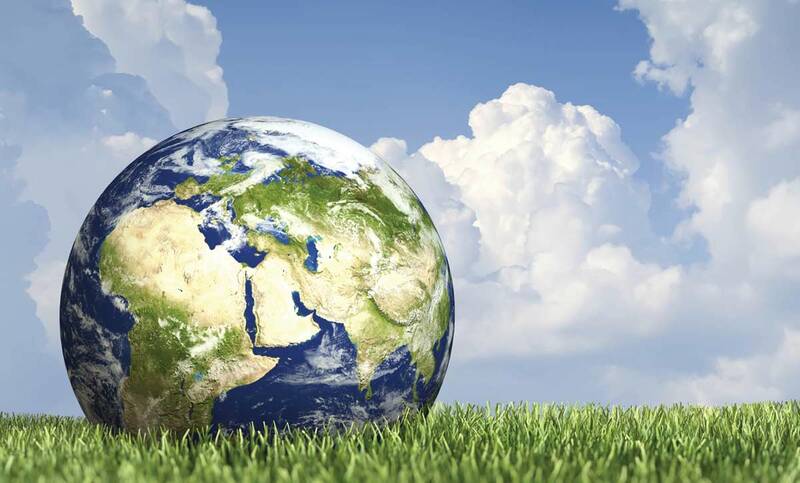 The project pulls in students and faculty from environmental science, law, ethics, anthropology, business, engineering and computer science to find solutions to climate change. Lawrence explains it like this: We have three main options for Earth’s land surface: grow food, maintain natural areas (such as forests), or grow biofuels. “What we decide to do as humanity will radically affect the future climate,” says Lawrence, whose Food, Fuel, and Forest Project examines how the climate would respond to different land-use scenarios. The amount of the Earth's total forests the worldwide boreal forest makes up—making it a highly influential ecosystem. The amount the rest of the planet has warmed over past 100 years. Average Arctic temps have warmed a couple of degrees Celsius over the past 30 years. The estimated amount sea level has risen worldwide over the past century (and continues to climb). The rate of rise has nearly doubled over the last 20 years. Prof. Carleton Ray estimates that at least a quarter of the ice cover and a third of the total winter ice mass in the Bering Sea has been lost since the turn of the century. Their findings have revealed glimpses into future possibilities: “If you were to clear all the tropical forests across the world, you could potentially warm the entire planet by (at most) 0.7 degrees Celsius,” she says, the same amount we’ve already seen from industrialization. They also found that deforesting the Amazon or the Congo could reduce rainfall in the U.S. Midwest—affecting American agriculture as well as global food productivity. “Places that are far apart are linked—it makes us understand the notion of a truly global world,” she says. Lawrence’s team uses a computer model from the National Center for Atmospheric Research that divides Earth into 100-kilometer-wide land units. They run experiments, such as seeing what would happen to the climate if tropical forests were replaced with crops or boreal forests replaced with shrubs. “We decide what the experiment is, and then run the model to see what climate changes come out of it—is it cooler, warmer, wetter?” says Lawrence. Lawrence’s team then investigates what those changes may mean for humanity: for instance, How does water availability change? Is biodiversity lost?